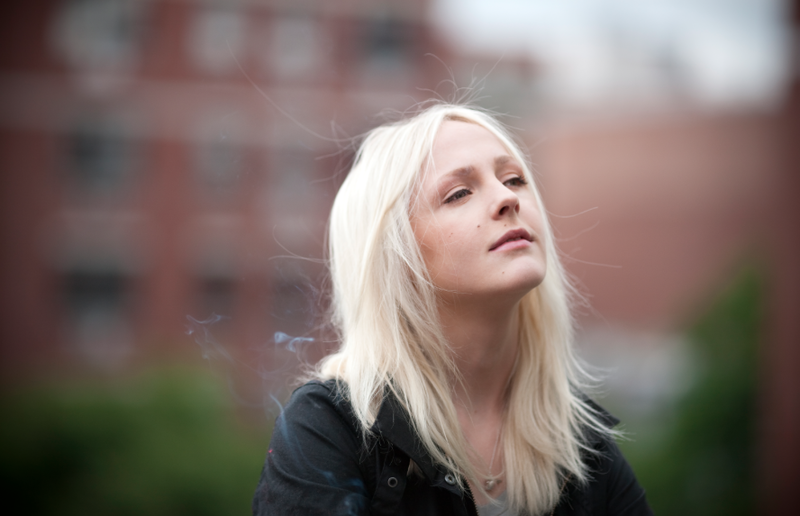 British born, nu-folk singer songwriter, Laura Marling played one of a handful of intimate shows including Chicago. It’s small, seven city, Spring tour to promote her upcoming album, “Once I Was A Eagle”. During this performance, she debuted one of the new songs from the album (never before played live before an audience) as well as fan favorites. Marling started the show by playing an almost 10-minute long, song. Then after completion, commented on how that wasn’t normal and, “I promise it will be easier going from here.” She also commented on the terrible weather here in Chicago and made the audience laugh. The audience was extremely receptive. Like being at a church sermon listening to the preacher spread the gospel. Everyone was alert, attentive and ready to respond song after song. There were shout outs to the stage, during the normally quiet moments of the performance that included, “We love you Laura,” “You look great” and plenty of “Whoo-Who’s.” All of which brought smiles to Marling’s face and even a slight blush. One in particular was during the first few bars of, “Sophia.” A man from the audience let out a boisterous, “Ah, YEAH!” After which the audience chuckled, she smiled from ear to ear. Marling played for about one hour in total. Then informed the audience, “I don’t do encores, please don’t be mad, but that’s just how I do it.” “Here is my last song, so you can think of this as my encore.” Again, the crowd chuckled. After which she put down her guitar, thanked the house and walked off stage to a standing ovation of cheering fans. It’s been said before that Laura Marling (23) is the greatest female singer songwriter of her generation and I can’t agree more. She shines like no other right now and is on top of her game with passionate lyrics, well designed song structure and career minded focus. She follows in good comparison company to the likes of Joni Mitchell, Joan Baez and nu folk artists like Jewel and Sarah McLachlan. Don’t let her age fool you. She may be in her early twenties, but she has the voice of an old soul. She’s been through a lot in her relatively short time on the music scene (that started at age 16), but with the new album, “Once I Was An Eagle,” due out May 27th, 2013, this will mark her 4th studio release as a solo artist. Before this, she was a contributing member and guest of several other bands including, Noah and the Whale, The Rakes and Mystery Jets. She is a Brit Award winning artist and daughter to a music teacher and recording engineer. Music has been a part of her life since the beginning and since she is just 23 years old, there are going to be many, many decades of music to look forward to. Photo Gallery : Dr. John at Bluesfest Chicago Slaaaaaaayeeeeeeerrrrrrr!